We value your time, support and commitment in sharing our vision for an uncompromised Christian television network. Time has proven that we are able to bring wholesome entertainment and education to homes all over the African continent that our viewers have come to enjoy, trust and rely on. We are grateful to count you as partners in this task and appreciate your prayers and continued financial support in fulfilling this important mandate. Your support continues to enable us in spreading the Gospel and building God’s kingdom, as well as broadcasting credible programmes, shows and entertainment, to help shape a well rounded and balanced Christian lifestyle. If this is the first time you are considering partnering with us, we invite you to complete our online form so we are able to communicate with you effectively in the future. If you simply wish to make a donation you are welcome to browse the banking section. Click to make a pledge. | Click to give online. Africa's Premier Christian Network. By Africa. For Africa. FAITH BROADCASTING NETWORK is a family of premier Christian television channels bringing the gospel of Jesus Christ to homes on the continent of Africa and beyond. 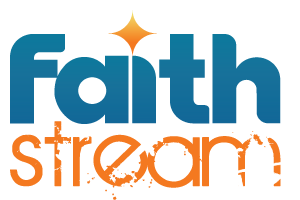 FAITH BROADCASTING NETWORK is broadcast through FaithAfrica (DSTv 341), ClearTV (Sentech free-to-air platform) and FlowTV (Sky UK 595).